A Comprehensive Resource for Today's CommunicatorsThis extensive encyclopedia is the most completeand practical work ever published on the art andcraft of biblical preaching. The 11 major sectionscontain almost 200 articles, which cover every possiblepreaching topic, including changing lives, sermonstructure, "the big idea," introductions, outlining, transitions, conclusions, passionate delivery, application, leveraging illustrations, telling stories, preaching narrative texts, topical preaching, expository preaching, evangelistic preaching, preaching to postmoderns, using humor, speakingwith authority, and many others. Entries are characterizedby intensely practical and vivid writingdesigned to help preachers deepen their understandingand sharpen their communication skills.The contributors include a virtual Who's Who ofpreaching from a cross section of denominations andtraditions, such as John Ortberg, Rick Warren, Warren Wiersbe, Alice Mathews, John Piper, AndyStanley, and many others. Haddon Robinson andCraig Brian Larson--two of today's mostrespected voices in preaching--provide editorial oversight. The power of an intriguing story can not only captivate an audience, but when presented in a familiar and personal way, can communicate important truths. With this realization, Steven Mathewson offers here a guide to applying careful expository preaching methods to popular Old Testament stories. Mathewson guides students and preachers through a ten-step process from text selection to sermon delivery. Mathewson then provides sample sermons and iinterviews of from five individuals, including Alice Mathews and Haddon Robinson. This book contains a number of pedagogical features-diagrams, figures, and two appendixes. Seminary students, professors, and pastors will appreciate this valuable tool for refining their narrative preaching skills. In our fast-paced multimedia age, Charles Denison argues, preachers need to turn to the use of images to capture and keep the listeners' attention. Denison shows how the preacher's imagination, intuition, and feelings can provide powerful resources for creating sermons that not only are fresh and interesting but also trigger evocative images in the minds of the congregation. 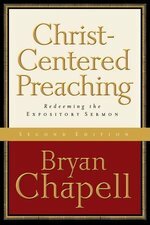 "Preaching is indispensable to Christianity." World-renowned preacher John Stott opens this book with those five bold words. He maintains, further, that "nothing is better calculated to restore health and vitality to the church than a recovery of true, biblical, contemporary preaching." Stott was aiming to foster such a recovery when he wrote Between Two Worlds, which has become a modern evangelical classic. The genius of this book is the way it synthesizes and distills Stott's wealth of wisdom on preaching, focusing not so much on technical matters but more on theological foundations and on necessary personal characteristics of the preacher--sincerity, earnestness, courage, and humility. Preachers old and new will continue to find much to chew on in these pages. Haddon Robinson's method as presented in Biblical Preaching is employed in twelve expository messages, offering concrete examples of how experienced preachers have made Robinson's homiletical principles work for them. Robinson comments on each expository message, interviews each preacher, and contributes a sermon of his own. The book shows how successfully his method of developing sermons can be adapted to different contexts.